Most of you are familiar with the name Robert Murray M’Cheyne, the famous Scottish minister. M’Cheyne had a special love for the Jewish people and a deep desire to see them come to a saving knowledge of their Messiah. Although he only lived for 29 years, he left the universal church with a great legacy. One of them was the society that he established. After taking a trip to North Africa and the Middle East to see the condition of the Jewish people, he brought back a report to the Scottish Presbyterian General Assembly, and as a result, “the society for the propagation of the Christian faith among the Jewish people was established”. That society was established in 1842, and eventually became what is known today as “Christian Witness to Israel”. Our heritage goes back to this phenomenal servant of the Lord. Robert’s Life Song tells the story of Robert for young people. Among other gifts that the Lord granted to him, was the ability to communicate in songs, hence the name of the book. 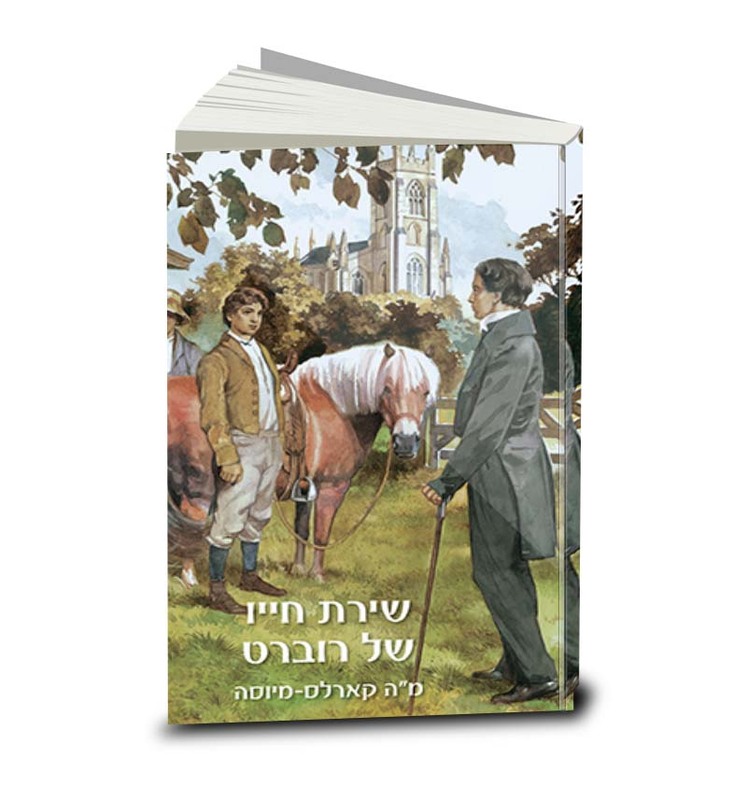 Once again, this is the first time that a book about him, or by him, has ever been published in the Modern Hebrew language. Our prayer and desire is that this book will inspire many millennials, and that they will be encouraged by the fact that the Lord can use young men and women in great and amazing ways, not only in Scotland, but beyond borders of time and location.